After being caught in a power struggle between two Chinese government entities for what must have seemed like an eternity to poor WoW addicts, the popular MMOG may finally be getting a verdict once and for all. I'm aware that the power struggle between the Chinese Ministry of Culture and the General Administration of Press and Publications (GAPP) over megapopular MMOG World of Warcraft is incredibly dry to read (though intriguing if you're interested in business in China), so we're going to spice it up by pretending that the entities are both giant fighting robots. When Blizzard switched WoW service providers from The9 to NetEase to coincide with the Chinese release of Wrath of the Lich King, rival Chinese regulate-o-trons M0C-X41 and GAPPINATOR reached a consensus that the game needed to pass the Second Trial of the Content Review before it could relaunch. After NetEase edited the game, M0C-X41 zapped the game with its Approval Ray, clearing the way for relaunch. "Not so fast," declared GAPPINATOR, drawing its Laser Sword of Bureaucracy. In trying to consolidate its Rule of Robots, it was determined to prove that it and it alone had the power to approve the Second Trial of the Content Review. M0C-X41 fired its Rocket Punch of Semantics, arguing that GAPPINATOR's powers were only limited to physical material like game booklets, but GAPPINATOR countered with a devastating Shoulder Tackle of Reinterpreting the Rules, and... okay, this is all getting kind of silly, but the end result was that nobody knows exactly what's going on with WoW in China because the damn government bodies can't make up their minds. That may be at an end soon enough. GAPP and the MOC have reportedly reached an agreement, a source told JLM Pacific Epoch, and a final verdict for the game - and a punishment for NetEase for "illegally collecting fees" - would be forthcoming. So, I guess the two robots agreed and then decided to go beat up NetEase, or something like that. 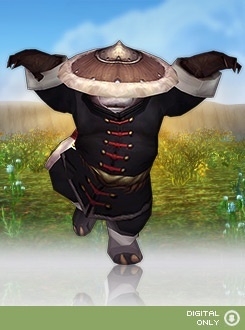 Ah well, at least the Chinese WoW players can always just stay on the Taiwanese servers like they've been doing anyway.